On this week’s show, we’re exploring a local photo collection from 45 years ago. 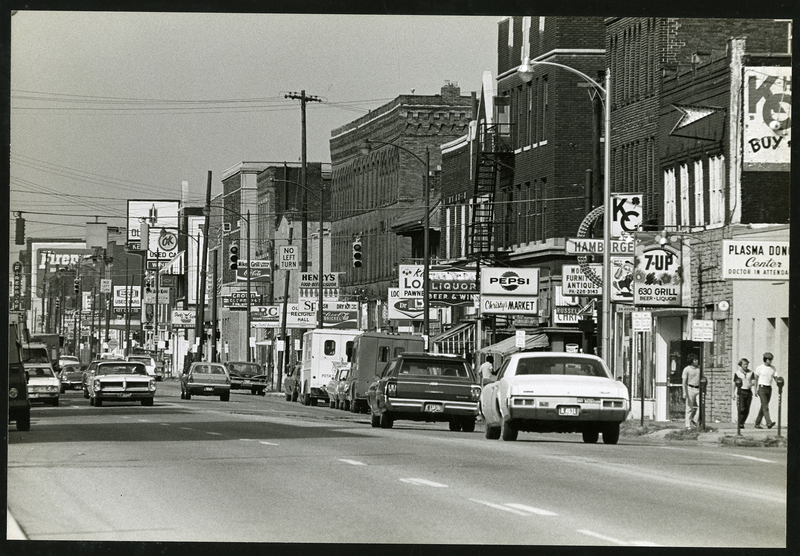 In 1973, five photographers spent the year documenting the backbone of Columbus — High Street. Learn more at 8:30 p.m. Thursday, March 22 on WOSU TV. 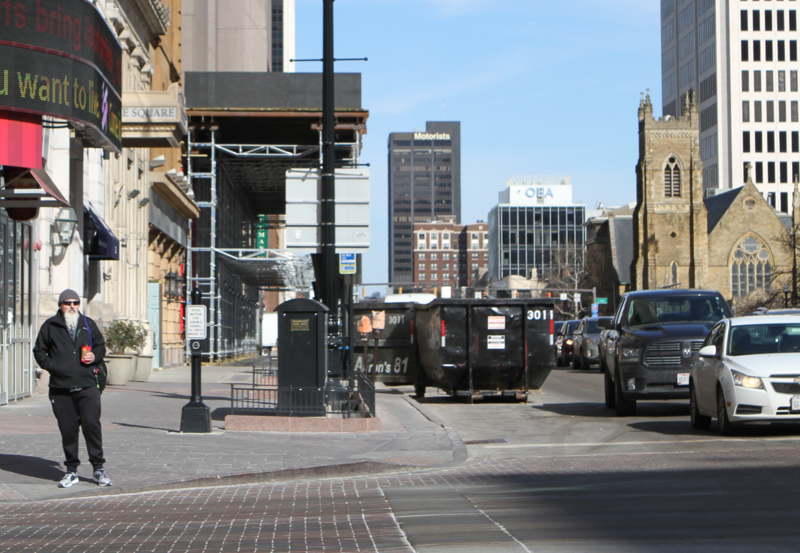 Here, we created comparisons between a few of the 1973 High Street photos and those same spots today. See if you can identify the location of the black-and-white photo before sliding to reveal what that area looks like now. Rhodes Tower was under construction in 1973, as seen above, near the intersection of High and Broad streets. Though it was completed the following year, the skyscraper still occasionally requires cleaning and maintenance. If you look closely, you’ll notice the Fireproof Warehouse and Storage Co. sign on the far left of the photo above, at 1020 N. High St. in the Short North. Built in 1909 with steel doors and concrete walls, the storage facility was designated a Civil Defense Fallout Shelter during World War II. Now, the structure serves as an apartment building, but the vintage sign remains. 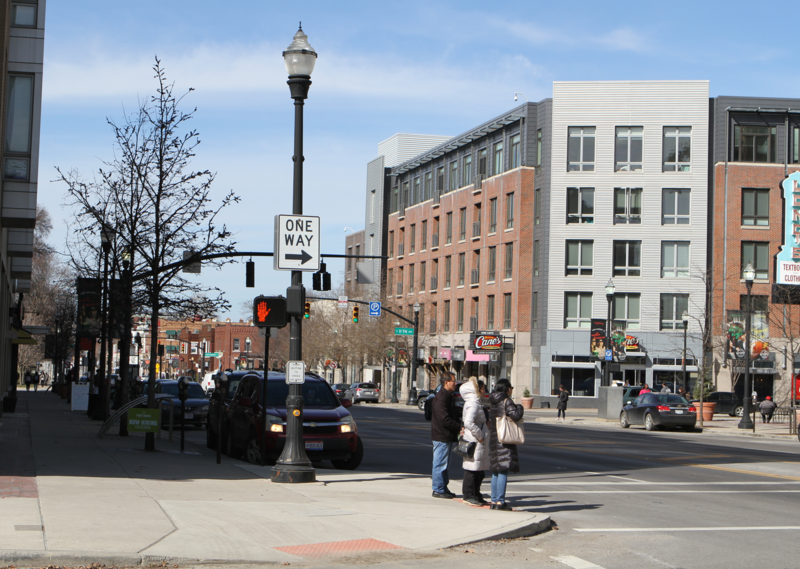 With all the recent development along High Street, especially near Ohio State University’s campus, some areas maintain little resemblance to the past. 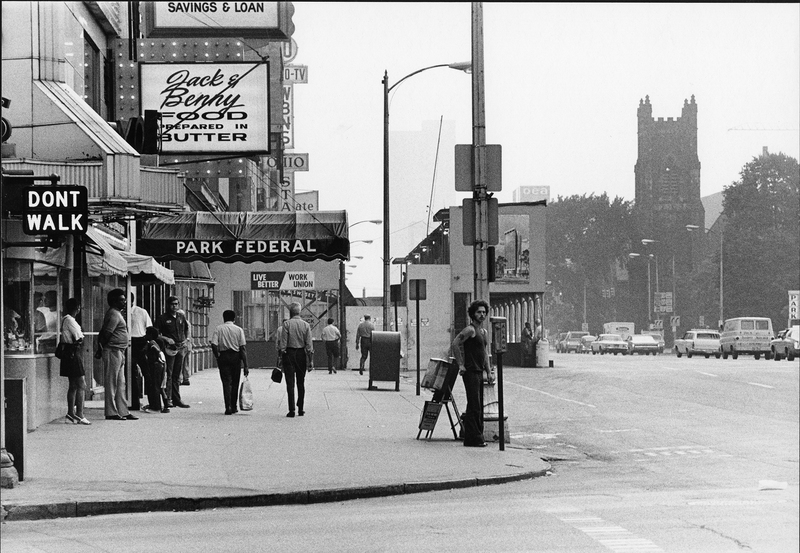 But even 45 years after this photo was taken, at the corner of High Street and West 10th Avenue, you’re sure to find people navigating the University District by foot. 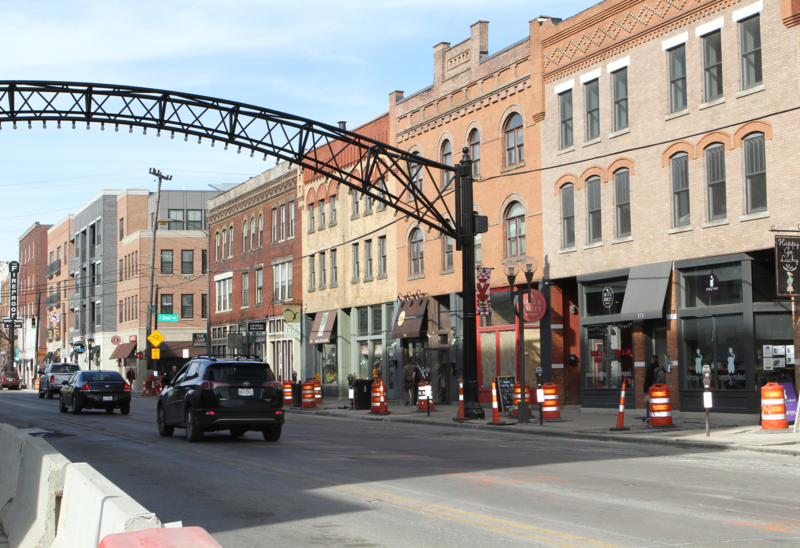 On the next episode of Columbus Neighborhoods, we’re taking a look at historic architecture in Columbus and Newark. 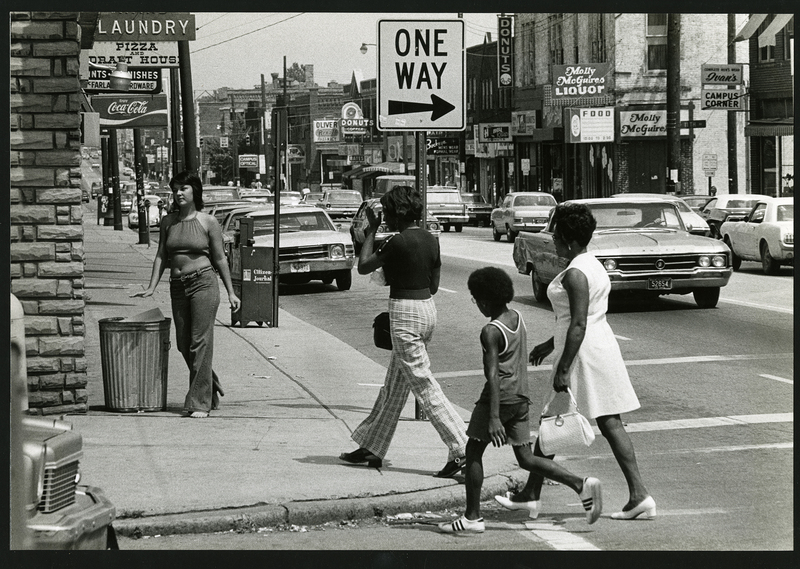 Discover a 1973 photo collection documenting High Street, a historic jewel-box bank in Newark and an 1850s church that’s now a fine-dining establishment on the North Side. Watch at 8:30pm Thursday, March 22 on WOSU TV! This entry was posted	on Tuesday, March 20th, 2018 at 12:34 pm	and is filed under Past and Present, Photograph. You can follow any responses to this entry through the RSS 2.0 feed. Both comments and pings are currently closed.